Happy Monday, everyone. Mondays are my least favorite day of the week (most people would probably agree). Therefore, I have nothing exciting to write about, except for my excitement about this outfit. I had been experimenting with pattern mixing with several pieces in my closet (see Instagram photo) + I think this look was a success. The key is to keep the color palates in the same family. In this case, the skirt has a base of small, crisscrossed black + white lines, so pairing it with the bit larger lines of this simple black + white stripe crop top was an obvious choice. Plus, I couldn't resist buying this top since it was less than $20 at Nordstrom Rack (I love the fun + flirty open-back detail). Hey, it's all about the details, right? 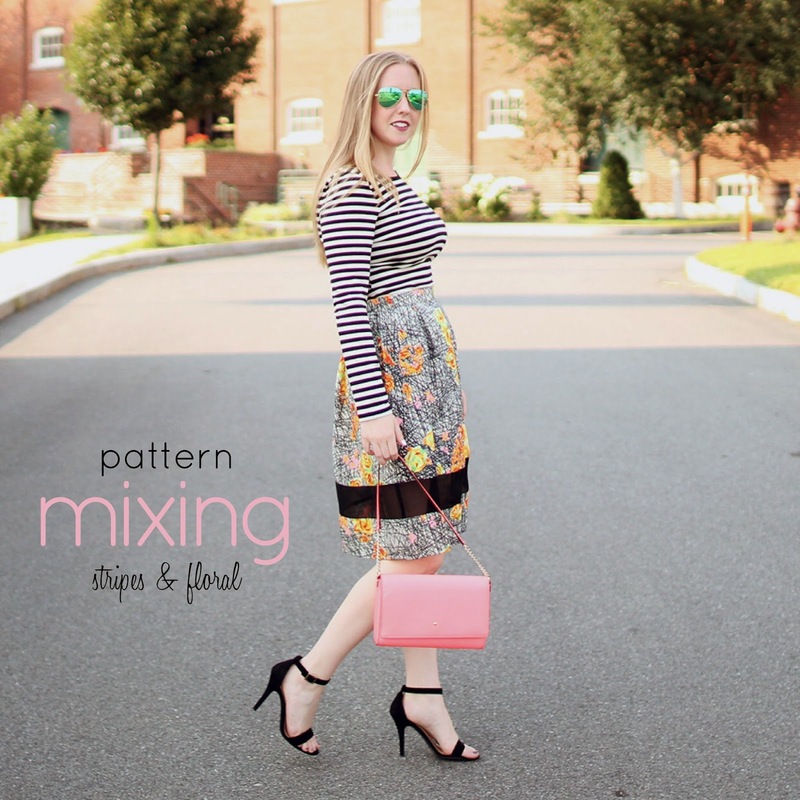 If you're looking to start experimenting with mixing patterns, keep it simple, start small, and avoid more than one large print. Happy Styling.